(58 reviews) Write a review! 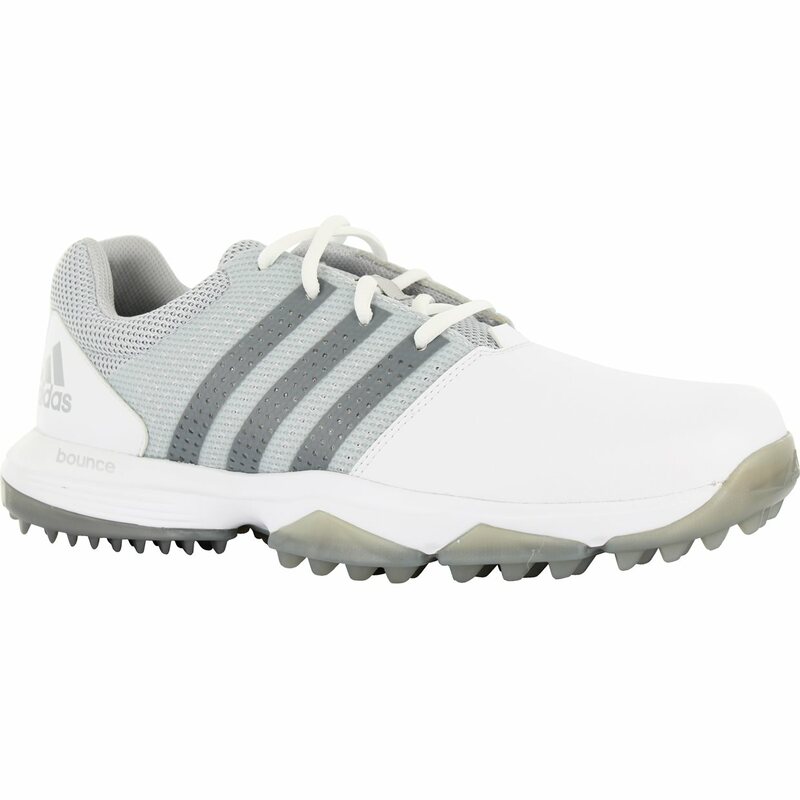 The adidas 360 Traxion Bounce spikeless golf shoe features a lightweight microfiber leather and textile upper with ClimaStorm protection. The soft cloudfoam molded EVA sockliner and full-length Bounce foam midsole provide all-day comfort and support. The new competition last is specifically designed to provide a more generous forefoot for improved fit. The advanced Puremotion™ outsole with strategically placed adiWear™ traction technology provides traction and stability in any turf condition. The advanced Puremotion™ outsole with strategically placed adiWear™ traction technology provides traction and stability in any turf condition. Great fit and comfortable. Delivered ahead of schedule. 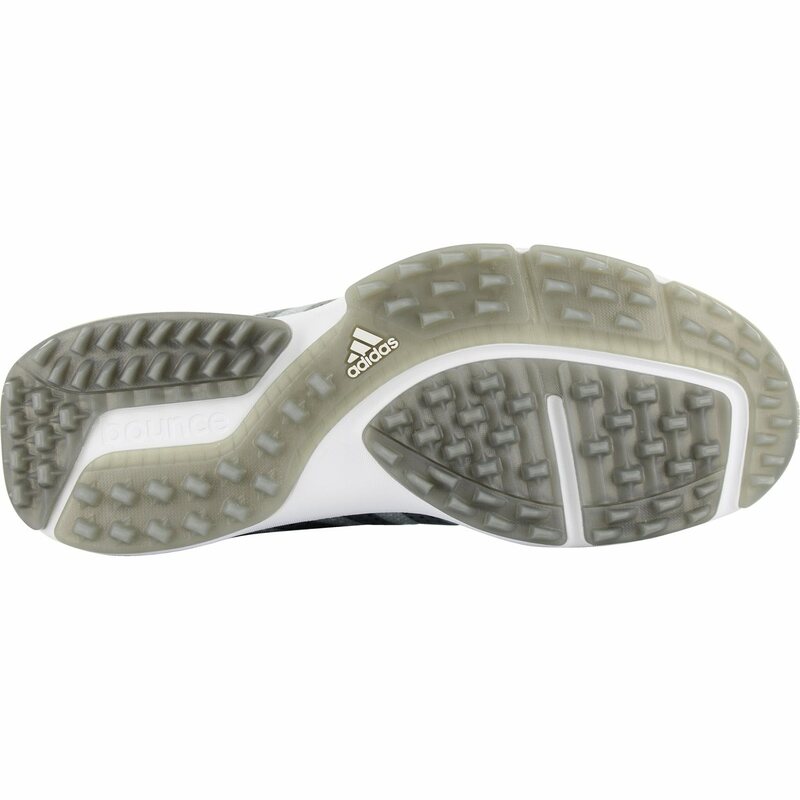 Comfortable, great traction, good fit. 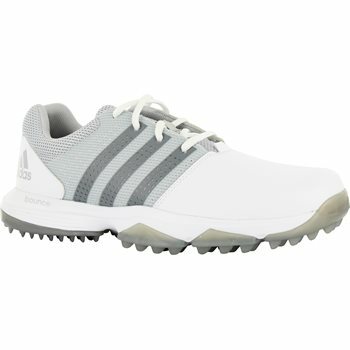 Great looking shoe, very comfortable, and the price was very very good. 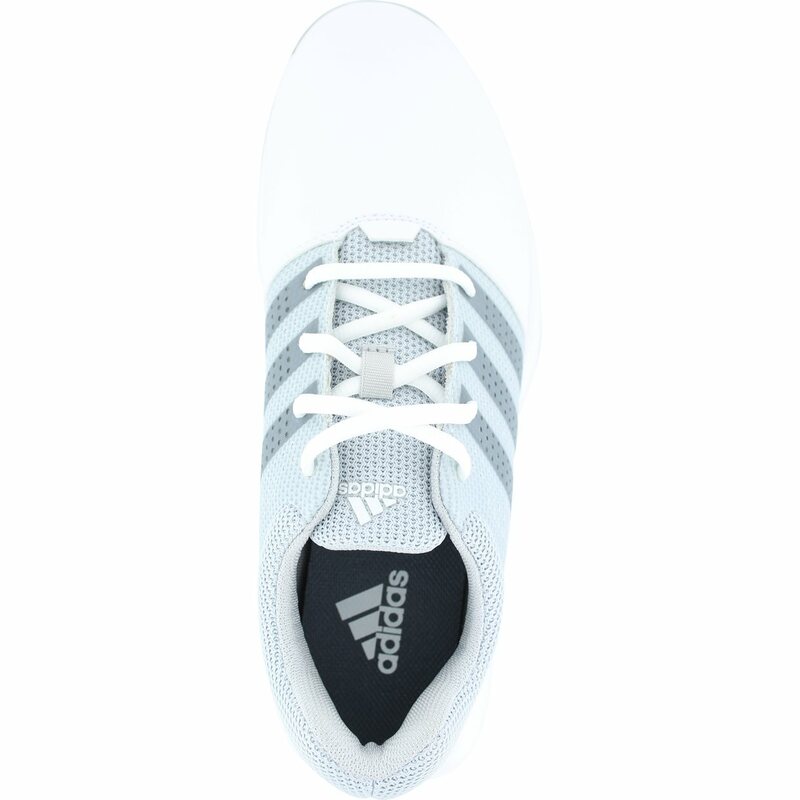 I realize that these shoes are closeouts so I could only get them in white. Came right before I was leaving for the course so I took them along. Glad I did, very comfortable and good grip. Has the Adidas looks. Happy I got them! These shoes are extra comfortable when walking the course. There is no slip when playing as well. Great gripping.